Michael A. Lebowitz. Built It Now: Socialism for the 21st Century. Monthly Review Press, 2000. What would a humanist, participatory "socialism for the 21st century" look like? In this short book, Michael Lebowitz shares his vision and asserts that the Chavez administration has embarked on transforming Venezuela into such a society through its Bolivarian Revolution. From August 16-18, 2007, the Federation of Southern Cooperatives/Land Assistance Fund will celebrate its fortieth (40th) anniversary and Annual Meeting. 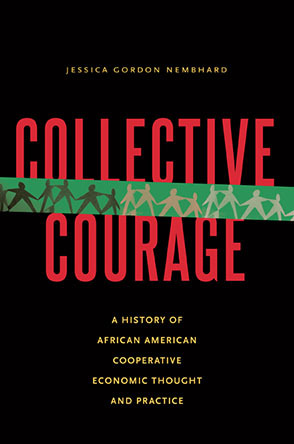 Growing from 22 cooperatives and credit unions organized by SNCC, CORE, SCLC and other civil rights organizations in the South in the 1960's, the Federation has worked with thousands of Black farmers and other low income rural folks over the past four decades. Shakoor Aljuwani is an organizer with the Home Coming Center in New Orleans. GEO Newsletter's Jessica Gordon Nembhard interviewed him in April 2007 about his work and progress with helping low-income residents return to New Orleans and rebuild their homes and neighborhoods. For the first time since its inception in 2002, the Eastern Conference for Workplace Democracy (ECWD) will be held in the South. The 2007 regional conference will be co-hosted by the Federation of Southern Co-ops/Land Assistance Fund (FSC/LAF) and the Southern Appalachian Center for Cooperative Ownership (SACCO). Read more about The Eastern Conference for Workplace Democracy Goes South!